Please shop locally and allow Medallion Paint to simplify your shopping to one convenient stop. With its unrivaled versatility, white is transcendent and timeless. But how do you choose the right white paint? From online inspiration to in-store advice, we can help. Warm to Cool: Selecting the Just-Right WhiteWarm whites have undertones of red and yellow, resulting in a soft glow and welcoming mood. Cool whites have undertones of blue, green and gray, creating a space that looks crisp, clean and luminous. 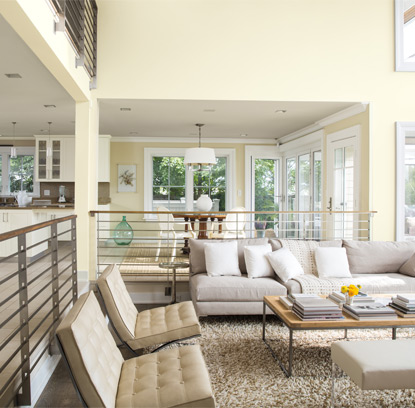 An enduring homeowner goal when it comes to selecting white is to choose one that’s “livable.” White Dove OC-17 and Chantilly Lace OC-65 strike the perfect chord between warm and cool, creating a flattering white that is neither too creamy nor too austere. Explore our Off-White collection, which includes over 150 variations of white.